Andre Villas-Boas claims the UEFA Champions League has become 'life or death' for Chelsea and has called on his side to raise their game. One quest for silverware may have come to an end, but Chelsea can console themselves with the fact that there are still multiple prizes to play for. The Champions League is the most coveted by owner Roman Abramovich and Villas-Boas is expected to have the Blues challenging for the European crown. It's been a troubled group campaign that could yet see Chelsea out of the competition before the knockout stage. 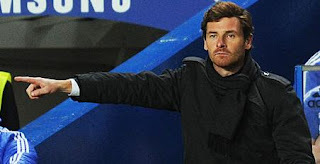 A meeting with Valencia on Tuesday has become make or break for the Blues and Villas-Boas is aware that the Blues will need to perform considerably better than they did against Liverpool if they are to avoid a shock exit from Europe. "The Champions League is a competition that is life and death and this standard won't be enough," he said. "We will need to up the tempo and play that game with the ultimate desire." December is shaping up to be a pivotal month for Chelsea, with the Champions League clash with Valencia accompanied by crucial Premier League fixtures against Newcastle, Manchester City and Tottenham. "For our Premier League challenge to be alive we need to make the most of our December fixtures," said Villas-Boas. "If we are able to do that we can get it back on track, not that we can't get back on track after. We recovered two points on our near opponents when we beat Wolves last weekend, which was good. But for us to challenge for the Premier League we need to make the most of our December fixtures because we play most of the top teams."